Whether it is a few pots on back porch or an acre of land carefully planned out in February, having a garden is an incredible asset to your family’s education. Even though I remember a time without cell phones or computers, my children never will. With all the extreme changes our culture continues to experience, it can seem hard to keep from getting caught up in the fast paced, social media dominated lifestyle that is glorified everywhere. Planting and harvesting (and everything in between) is something that we have in common with every generation before us. 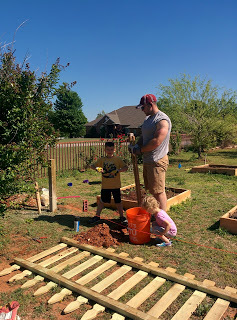 While your family may not rely on your garden the way my grandparents did theirs, the process is still this incredible hands-on tool for enhancing education.and keeping our hearts grounded – pun fully intended! 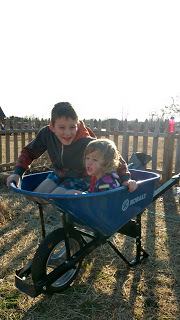 By tending a garden of any size together, you are given a zillion teachable moments to share with your kids that have the power to power up their learning experiences and shape the person they will become. Science. So many of the scientific concepts that we expect our children to learn are demonstrated in some way in the garden. Life cycles, water cycles, photosynthesis, weather patterns and the food chain are just a few things that you will face tending a garden. Evidence of God’s Creation. Have you ever considered the power of a seed? A complete blueprint for a plant and its fruit is hidden in each little seed. Have you considered the uniqueness of planet earth and the many forces that come together to keep us alive? Even just the faith that is required every time you plant a seed points to our Creator intimately designing all parts of our existence. Work Ethic. Maintaining a garden is not like a drive-thru window. You can’t just pick the food you want to grow and show up a few months later expecting a harvest. In order to have a successful garden, you have to keep up with a lot of things. Planning, researching, tilling, planting, weeding, watering, praying and repeat! Even after all that work, there is still no assurance of success when the weather gets involved. This process of managing living things teaches so many lessons about life and what our attitudes must be. Immune Boost. Going outside regularly, getting your hands in the dirt, and any form of exercise (walking, squatting, lifting, etc.) builds up your immune system. It’s good for the body. Healthy bodies produce better learners! As we walk this path of homeschooling, we are trying to ignite the spark of learning and discovery every day. Incorporating a garden into your rhythm of school is this perfect laboratory in which to do that! We see concepts demonstrated in real time while learning discipline and activating our immune systems at the same time! We can’t keep our culture from continually changing, but we can make choices that root us in what is real and true. Investing in a garden is certainly one of those great choices! Originally posted at The Schoolhouse Review Crew Blog in March 2019.